A really nice easy way to introduce fruit to the sugar overload of Halloween. 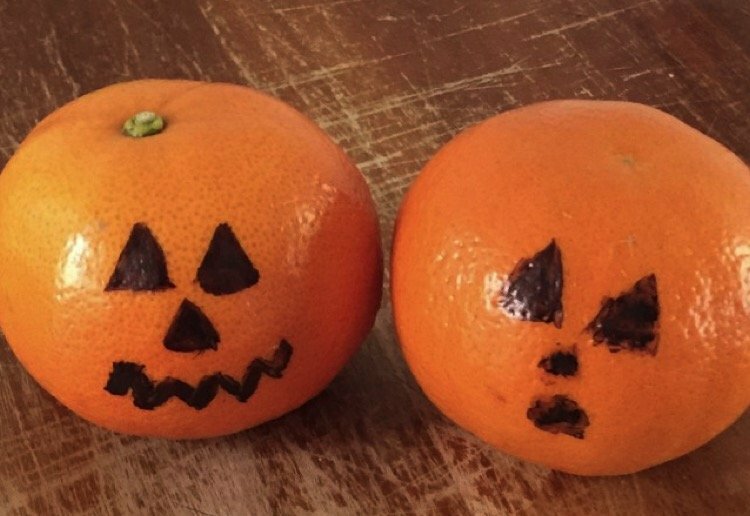 Draw a pumpkin face on the skin of the mandarin - dead simple! It’s always good having healthy items for Halloween. This isn’t a recipe… but not a bad idea for a healthy but fun Halloween treat. Another Halloween idea – you must have a good supply of sharpies! They make a nice surprise in the lunch box in the lead up to Halloween too. Very cute and very easy to make! Thanks.